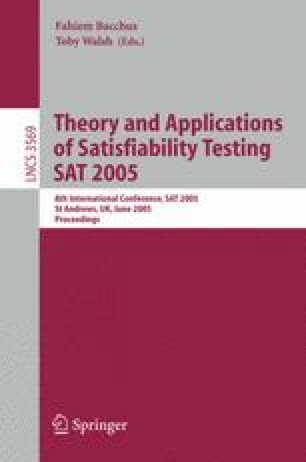 We give a randomized algorithm for testing satisfiability of Boolean formulas in conjunctive normal form with no restriction on clause length. Its running time is at most 2 n(1 − 1/α) up to a polynomial factor, where α = ln (m/n) + O(ln ln m) and n, m are respectively the number of variables and the number of clauses in the input formula. This bound is asymptotically better than the previously best known 2 n(1 − 1/log(2m)) bound for SAT.